As Open/Close will be on display in Cuchifritos, a nonprofit art space that is located in the Essex Street Market, this forthcoming exhibition seeks to engage, highlight, and explore the complex undercurrents that define the social terrain of a popular New York City shopping district. With a layout that is reminiscent of an old world bazaar, the Essex Street Market is meant to create a small commercial hub for a diverse community of longtime residents, immigrants, and recent urban transplants. Organized with a strict set of guidelines that outlines the need for each vendor to present an aesthetically pleasing display, the Essex Street Market is in many ways like a gallery, or even an art fair, in which curators are expected to arrange their designated spaces as they vie for the interest of viewers. Essentially, the act of curating is visible throughout the market, as the fostering of visual culture results from meticulous displays of products. At the center of the show’s curatorial premise are the connections that can be made between the selected works and the daily happenings of the market. A special emphasis has been placed on the layout, objects and overall experience of such an environment—from the visuals of household supplies that are displayed in an orderly fashion to the iconography of religious imagery that adorn a Catholic gift shop, and everything in between. Issues of identity, gender, class, race, globalization, and consumerism is crucial to the exhibition and is addressed through the many creative, theoretical, and sociopolitical investigations of the artists. 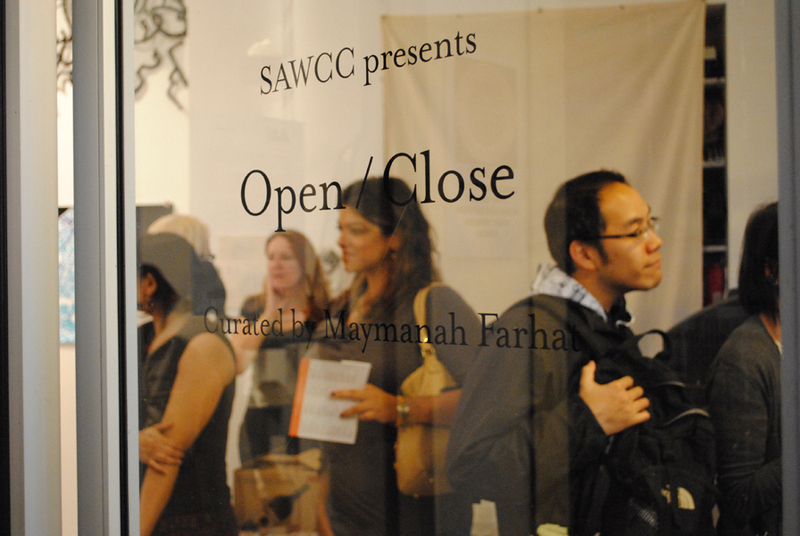 By encountering, examining, and considering Open/Close, viewers are encouraged to establish links between the exhibited works and their surroundings so that they might reexamine how art and visual culture often overlap. Art (Inter)Actions directly engage with the local community through educational and outreach initiatives with neighborhood schools, community organizations, and the public. Art (Inter)Actions provide a distinct entry point to connect with the exhibitions at Cuchifritos Gallery & Project Space as well as connect the community to the local contemporary art world.